The second thing I notice is I chew sugarless gum* like fiend. Although I rarely chew gum at home, at work I qualify as a chain-chewer. My weekly habit costs as much as a gallon of summer vacation-priced gasoline. So imagine my happy happy joy joy (Ren & Stimpy reference: The Happy Helmet episode) while reading in a Time Healthland article that chewing gum has several benefits. You can fix things by using chewed gum to plug leaks or as an adhesive. Disclaimer: Using gum for either in a health care facility may get you fired, and is certainly not condoned by Infection Control, The Joint Commission, or the author of this blog. A vehicle for caffeine. This might not be a good idea for me. The caffeine might make my hands shake, and as noted above, by this point I am already dropping things. Catch fish. I cannot think of a nursing application for this. Apparently, some people use chewing gum as bait for catfish. June 7, 2012 — Results of a Korean study support the use of a relatively inexpensive intervention to hasten bowel function recovery after liver resection for hepatocellular cancer: gum chewing. In the study of 42 patients published online June 2 in the Journal of Clinical Nursing, patients who chewed gum 3 times per day showed faster recovery in postoperative bowel function than those in a control group. *For the prevention of dental caries, I prefer sugar free gum. Another Disclaimer: **This blog post should not be interpreted as medical advice. If you seek medical advice, consult you licensed medical practitioner. 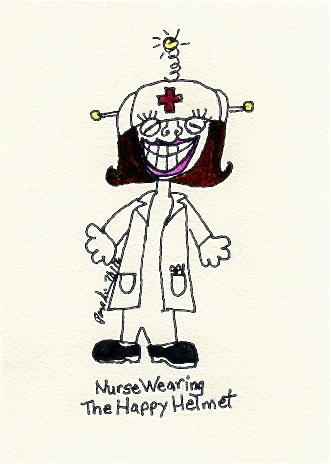 This entry was posted in Humor, Posts About Art & Nursing and tagged chewing gum, health, humor, nurse blogs, Ren and Stimpy, rn blog by jparadisirn. Bookmark the permalink. Yes all of these are true. I can confirm you that because I’m a dentist in broomall and we did research that confirms the benefits of chewing gum. To add to that it stimulates to brain, to make us more active. I’m waiting for a dentist to weigh in on the subject, but until then, I’m a fan of gum. In the meantime it gives you something to bite down on in lieu of a smartass remark, which I would add on as #7 of reasons why gum is beneficial. I can’t say I’m much of a gum chewer, but I may have to reconsider. Perhaps it is time to take up a new habit.